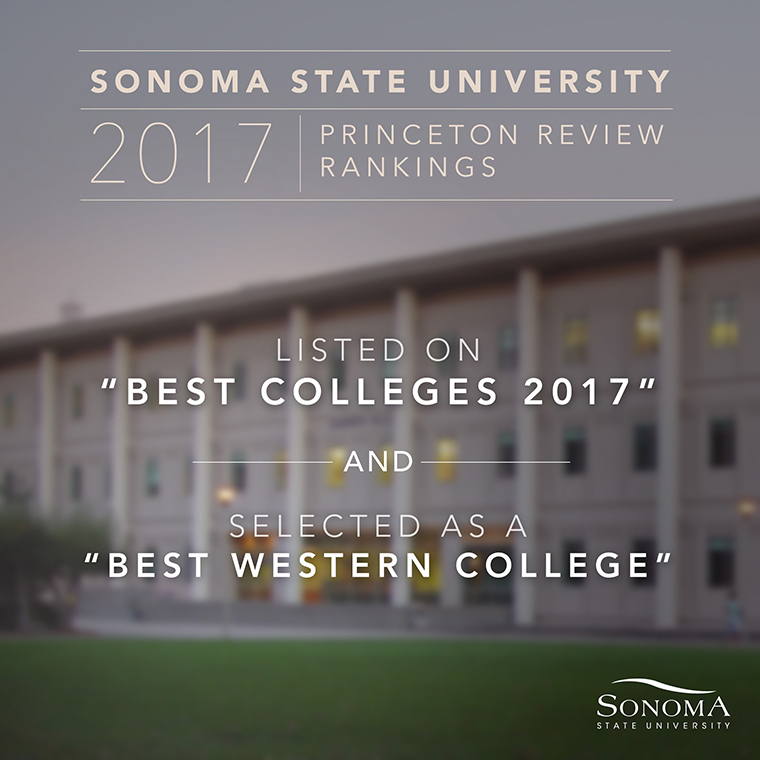 For the second consecutive year, Sonoma State University has been chosen by the Princeton Review as one of the best 381 colleges in the nation as well as one of the best in the West. The list is based on the data from surveys of 143,000 students at the 381 schools considered by the Princeton Review. The Western Region includes 126 colleges in 14 states. Sonoma State was listed in the Princeton Review's top 20 "Best College Dorms" last year, coming at No. 12. Sonoma State University ranked No. Sonoma State University has once again been selected as one of America’s top colleges by Forbes magazine. Under the “top college” listings released by Forbes on Aug. 21, SSU was ranked No. 88 in the West and No. 150 among public colleges in the nation.